Cadillac hasn’t had the easiest venture into the electric-car market, and to put it nicely, its attempt at the hybrid plug-in Cadillac ELR was kind of a mess. And for a plethora of other reasons, Cadillac’s chief marketing officer, Uwe Ellinghaus, doesn’t see the company going full-electric for quite a while. Put it this way: The ELR’s a big disappointment; there’s no denying, yet still I want it, and want it because it is a statement how progressive how Cadillac is and that we can tackle electromobility in the brand. But, it was also great learning exercise for all of us because maybe we asked too much. Struggles for the Cadillac ELR included a price similar to the Tesla Model S at its introduction in 2013 (about $76,000), a marketing campaign that didn’t exactly sit well and the fact that half of its U.S. dealerships didn’t even want the car. The company didn’t want the ELR to fall into the typical green-car stereotype, and Ellinghaus said the car was already limited due to being a two-door model. Since the company wanted to avoid “a rolling declaration of sacrifices,” the Cadillac folks threw in extra features and subsequently drove the price up. I like the luxury features, but it priced it into a level where people started comparing it to, dare I say it, the Tesla. And then they said it has the same price. Nonsense, because our car comes fully equipped and the Tesla is completely naked. But the Tesla is a four-door, right? 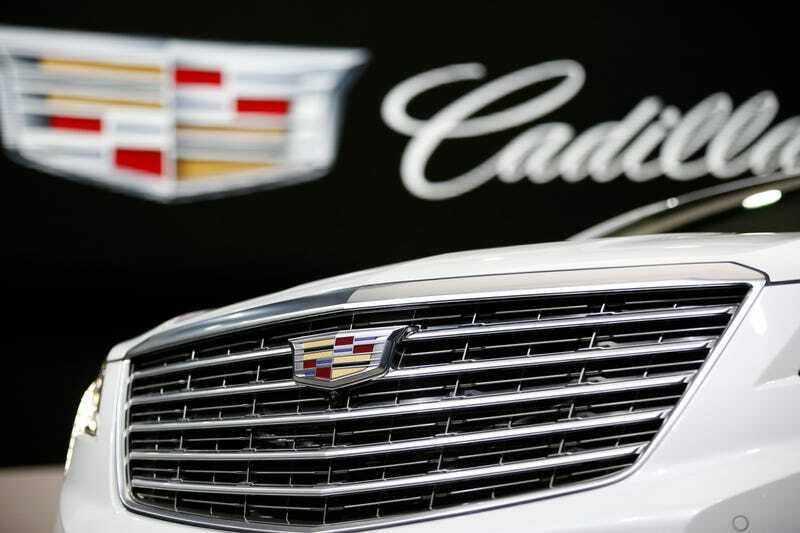 Instead of rivaling—or accidentally rivaling—Tesla in the future by producing specific cars with green credentials, Ellinghaus said Cadillac will put the focus on producing plug-in hybrid versions of most of its models. I think this is the way forward for the entire industry. It will no longer be possible to emulate Tesla’s success. Tesla only is so successful because they have the belief in the electric engine being the sole engine on board. We were concerned in this industry about ranges, and the anxiety of getting stuck led us to add a combustion engine, and that caused the counter-reaction by some folks saying, “No, I am serious, I wanted a sole electric.” And I think that’s a minority. Since Ellinghaus believes that the majority of customers—especially ones who don’t live in urban areas—will need longer ranges on the cars, he said a plug-in hybrid will be the way to go. And that’s what the company will do. The new model sounds well and good, but we’ll just have to see how it plays out. If Cadillac learned anything from the ELR, it’s how to not go about something. Perhaps they learned a profitable lesson.